Vivaldi CMO Agathe Blanchon- Ehrsam was the latest guest in MarTech Advisor’s interview series that discusses MarTech stack components, experiences, challenges and opportunities with leaders in the industry. 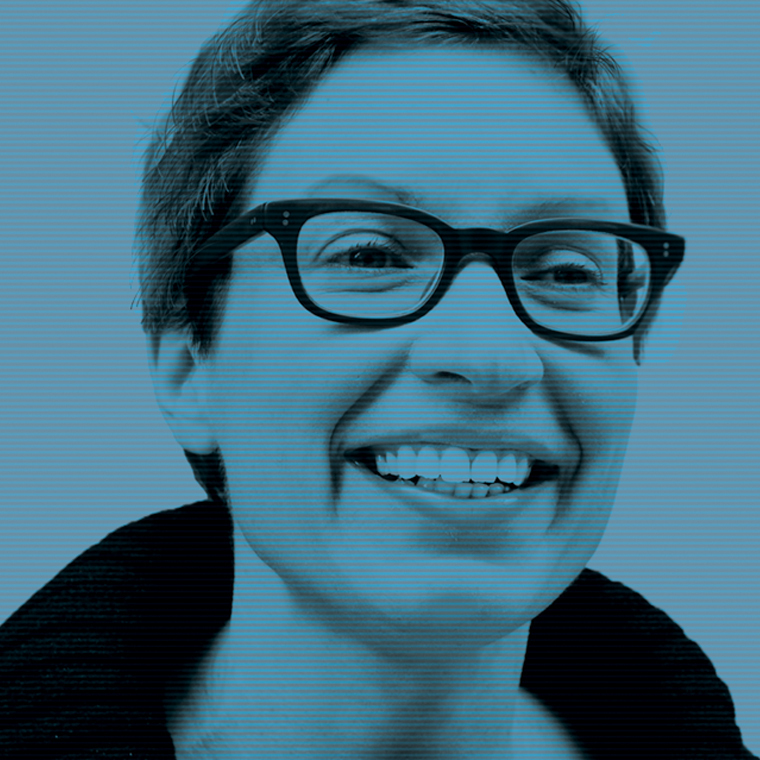 Agathe shares insight from a career in helping companies produce innovative, engaging interactions that help them connect with their audiences, build their brands and create entirely new businesses driven by their competitive advantage. Read below for Agathe’s conversation with Ishani Banerjee of MarTech Advisor. Most businesses today straddle two worlds – the old world, traditional business strategy components- like positioning, branding etc. – and the inevitable ‘digital strategy’ components. What are your insights for brand owners struggling to join the dots between these worlds and embrace digital transformation? The secret is to step back so the bigger picture emerges. Business strategy is about creating competitive advantage. Positioning is one way to create this competitive advantage and branding is a way to defend it by creating an inimitable asset with which to compete. Today, business strategy is still about creating competitive advantage but the way to do so is different. Today, we exploit advantages through network effects and learning effects by leveraging the global technology infrastructure of connectivity. And in order to realize network effects, positioning and brands are absolutely a key factor in success. Digital transformation efforts that don’t exploit these new competitive advantages are just incremental technology improvements of the legacy infrastructure of a company. The digitalization of physical or analog processes is important but does not alone lead to new value creation. Think Tesla. Tesla relies on traditional business strategy processes to create value at each phase of its activity chain. The company actively works to position itself in the automotive sector and create a brand that consumers trust. But Tesla also actively exploits these new forms of competitive advantages. Tesla ‘joined the dots’ by establishing a direct connection with customers, unparalleled in the car industry and possible due to the ubiquity of digital technology. Tesla collects and analyzes driving data from all its customers to continuously improve the car, including safety features like the Autopilot, then feeds back improvements “over the air”. Tesla builds its brand using social and digital technologies to connect with customers. And where Ford and GM spent more than 10 billion dollars last year on advertising, Tesla spent zero. Your Client list includes a lot of obviously local brands and also some of the large global players. What differences do you see in the way these two types of businesses approach the digital marketing challenge? There used to be large differences between global players and local brands. Global brands had scale and advantages of size. Local brands had greater customer knowledge and relationships. Digital has reduced the difference between local and global brands. Larger global brands deploy technology to create more intimate relationships at scale– the Starbucks Order & Pay technology knows how you like your coffee and prepares it without you needing to say anything, just like the guy at the coffee cart used to. On the other hand, local brands now have access to cloud-based enterprise tech that used to be only economically accessible to large firms, such as such as AWS or Microsoft Azure. We find that clients, big or small, struggle with the same challenges: keeping up with rising customer expectations, being part of their consideration set and creating deep and long-term connections. Let’s talk about customer experience. Customer experience can offer a distinct competitive edge to a business who gets it right. What are the core elements of a successful customer experience strategy? Most customer experience initiatives today seem to confuse technology deployment with customer experience. Using technology in a call center to more quickly answer customers’ questions improves company operations, not the customer experience. Expectations regarding customer service have dramatically risen, so elevating service levels is important. But true customer experience improvements humanize and personalize the experience of the customer. In a way, the future of customer experience strategy is not about making things consistent across touchpoints, but about allowing for inconsistency across touchpoint. Every consumer has their own journey, every consumer has their own set of touchpoints. Digital technology should enable dealing with consumers or customers on their terms, not a company’s terms. Today, social media is becoming as important for B2B marketers as its always been for B2C marketers. What are the 3-4 key considerations for developing a meaningful B2B social media strategy? All marketers, B2B or B2C, need to establish closer and more intimate client relationships. John Deere can’t just operate through their large and expansive dealer network but needs to connect with farmers directly. Philips Healthcare can’t just work with hospital administrators, it needs to create a community that connects all interested in improving healthcare and delivering outcomes. This includes patients, providers, payers and more. Around which framing question are you hoping to rally your community? Who’s the target audience? What type of interactions are you aiming to foster? What type of content? What social channels? How will the channels be integrated? What value are you delivering and enabling others to share and receive? Are your messages and your brand resonating with your target audience? How many interactions are you enabling? Customer engagement through and post the buying process is crucial and it is what customers expect. What can a B2B marketer do, to better engage prospects and customers through their life cycle? Engaging with prospects requires intelligence, data, analytics, and technology. The time of managing projects down the funnel toward purchase through targeted Marcom activities or sales activities is gone. B2B marketers need targeted ways to get prospects to act. As marketers, we try to add value to our customers and stay top of mind via social media, newsletters, insightful content that are valuable to our customers. Delivering great content, however, is not enough.Building relationships with customers and getting to know them as individuals can help understand how to assist them with the challenges they face in their day today. For example, Kloeckner Metals offers prospective customers a dashboard to help them organize their steel orders. The tool helps customers by making the procurement process more transparent. Usage of the dashboard does not guarantee that construction or automotive firms will procure from Kloeckner Metals over existing suppliers, but it makes it more likely that some orders will come their way. What are some recurring rookie mistakes you see marketers making when it comes to developing their digital marketing strategy? Especially with components like website design, data collection, and analytics/measurement/attribution? Most digital transformation efforts focus on solving how to better sell to customers. They may be informed by a customer survey or a design-thinking inspired journey exercise, but they are not solving customers’ real challenges. Massive efforts such as improving customer service, redesigning a website or launching a content marketing effort don’t deliver ROI if they’re not done in concert with each other, led by a powerful brand strategy. The analytics and measurement tied to the top, middle and bottom of the funnel are nice metrics (visits, unique visits, page views, etc.) but don’t correspond to growth. They focus on improving channels and get lost in tactics, rather than working through the challenges of enabling growth with customers.